SB 424 Classic Line Showcases and Cabinets are an elegant and timelessly modern range of storage solutions for display and storage purposes. 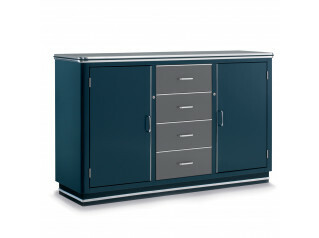 Constructed using 1.3mm sheet metal Classic Line storage cabinets are durable, including its looks. 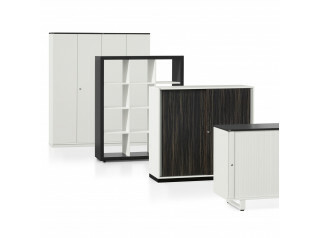 Cabinets can be finished to your individual colour requirements, due to the use of a RAL colour tone pallet. 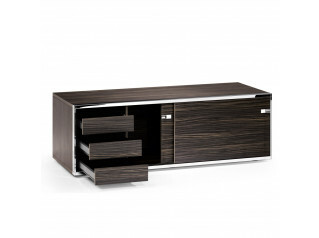 This allows furniture to be matched with the widest possible range of interiors. 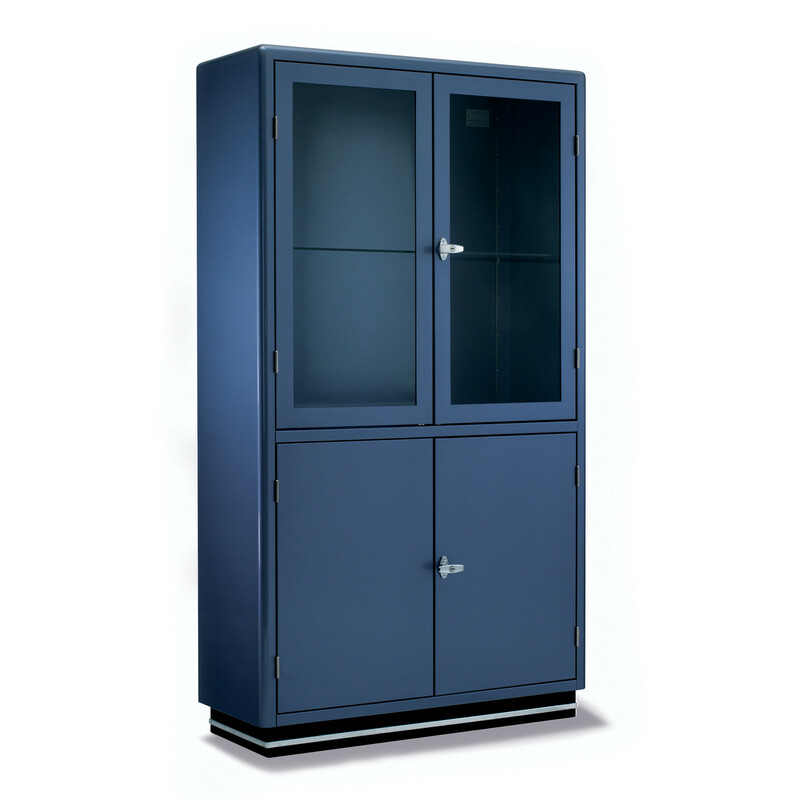 Showcase SB 424 is available in three options: with 2 glass doors (model SB 424-2), as filing cabinet with 2 metal doors (model SB 424-3) or with 2 small glass doors on top and 2 metal doors underneath (model SB 424-4). 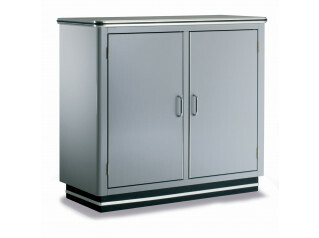 All Classic Line cabinets can be fitted with interior lighting, satined glass doors and lockable doors. See more products manufactured by Mueller. You are requesting a price for the "SB 424 Cabinets"
To create a new project and add "SB 424 Cabinets" to it please click the button below. To add "SB 424 Cabinets" to an existing project please select below.